How much do you know about the works of one of our best-loved classic authors? What really motivates the characters, and what is going on beneath the surface of the story? Using So You Think You Know Jane Austen? 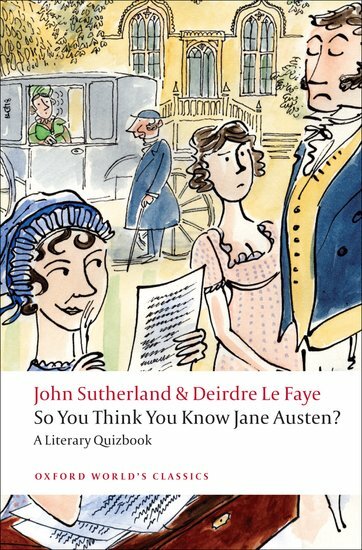 A Literary Quizbook by John Sutherland and Deirdre La Faye, we’ve selected twelve questions covering all six of Austen’s major novels for you to pit your wits against. Whether you are an expert or an enthusiast, we hope you’ll learn a little extra than you already knew. Image credit: Jane Austen. Public domain via Wikimedia Commons. You should get the questions right first… John Dashwood inherits Norland Park in Sense and Sensibility, not John Drummond.